Our most anticipated collars of the year are almost here! 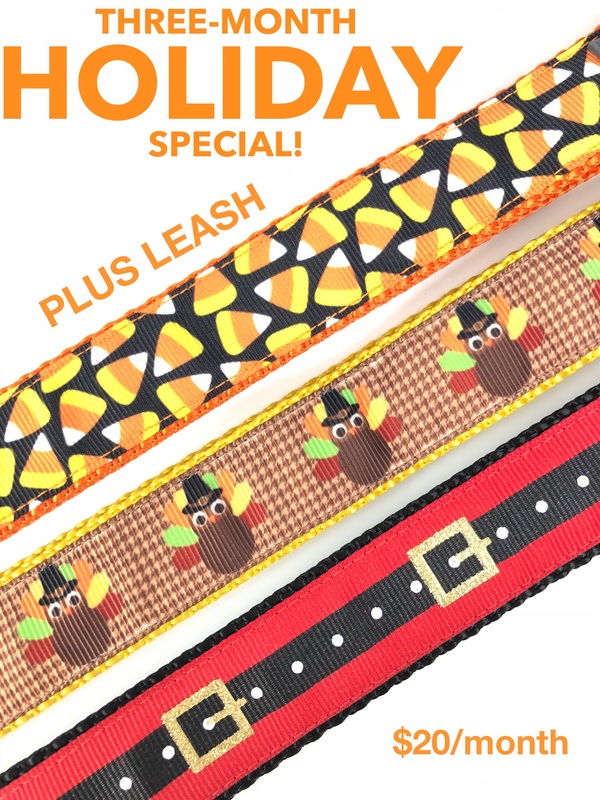 Order this 3-month bundle to try our subscription box program and receive a holiday-themed collar + matching leash at the start of October, November, and December. Just like our regular subscription plan, when your new monthly set arrives, use the included return slip to donate last month's gently-used collar + leash so it can be reused by a shelter animal. If you prefer to keep the set instead of sending it back, that's ok! We're extremely happy to know that you really liked that collection. Note that the collars displayed are examples from a previous year and that your shipment will contain a new, to-be-released, design.